Scarlett OctoPre gives you eight additional inputs. It's the ideal way to expand your Scarlett - or any other interface with an ADAT input. Scarlett OctoPre features eight 2nd Generation Scarlett mic inputs - balanced line inputs too - all running through Focusrite precision 24-bit conversion at up to 192 kHz resolution with 109dB dynamic range. With high-headroom inputs and a pad on every channel, Scarlett OctoPre is ideal for tracking drums as well guitars, keyboards, vocals - and more. 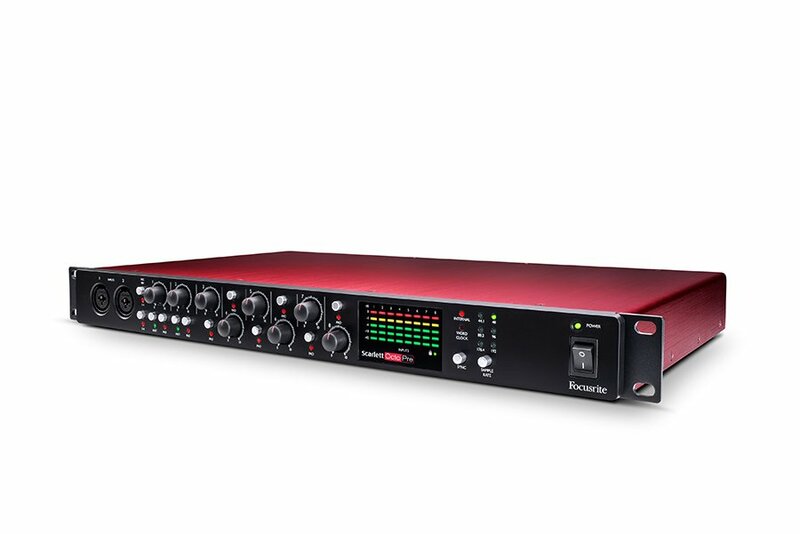 Eight balanced line outputs, sourced directly from the inputs allow Scarlett OctoPre to be used in a live situation whilst capturing the recording via the digital ADAT output. ADAT is a simple and easy way of expanding your analogue inputs. ADAT uses inexpensive "light-pipe" optical cables to carry up to eight channels of audio. Just connect the ADAT output on the OctoPre to the ADAT input on your interface, set your sample rate and clock source and you're ready to go. ADAT input is available on many Focusrite and third-party interfaces. If you need more inputs as well as more outputs check out the Scarlett OctoPre Dynamic - everything you see here, plus eight channels of pristine D-A conversion and analogue compression on every input. It might be just what you're looking for.